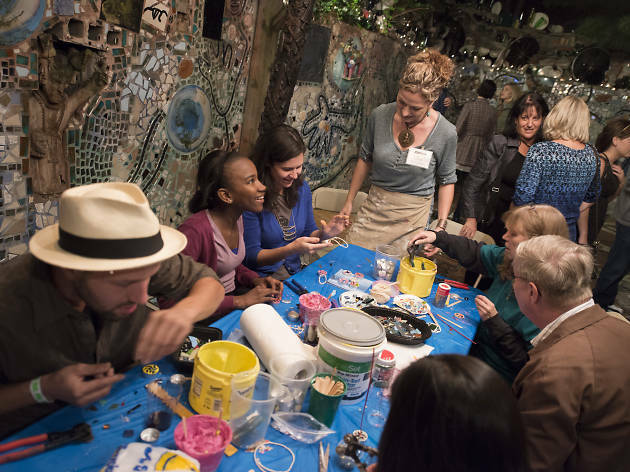 On every fourth Friday from April to October, Philadelphia’s Magic Gardens hosts this cool after-hours soiree featuring live music, kooky art workshops and mini tours of the wonder-inducing art space after the sun goes down. One of the best things about Twilight in the Gardens is its trademark BYOBBS (Bring Your Own Booze, Blanket, and Snacks) policy. Stop at a state store or bottle shop along the way, gather up some cheese and crackers and have yourself a late-night dinner under the stars. 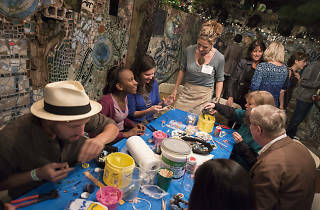 The party is one of the essential things to do in Philadelphia—and it makes for a super-romantic date night.